With so many rental places around the city, it’s not easy to know which ones you can count on for service and which ones never had any intention of answering your distressed phone calls. We’ve had our share of interesting experiences renting in Vietnam and we’ve learned a thing or two. Whether you’re in Ho Chi Minh City to work, or just traveling through, here are a few reputable places where you’ll be treated right. When it comes to reputation, nobody can compare to Tigit Motorbikes. A quick search online will yield hundreds of satisfied customers raving about their experiences. It’s located near the backpackers area, so tourists don’t need to go on long treks through the city to get themselves onto their own two wheels. If you’re an expat in the city, they have a wide selection of models to match your driving style. If you’re looking to do some traveling, then they’ll match you up with a package which can also include the option to drop off your motorbike in a different city, so you don’t need to make your holiday a round-trip. This is a one-stop shop for all your motorbike needs in Ho Chi Minh City. If you’re staying in the Pham Ngu Lao area and you want the best motorbike rental place within walking distance, then Chi’s Cafe is the place for you. The staff are friendly and they won’t hesitate to help you if anything goes wrong. Keep in mind that Chi’s is more so for people looking to drive within or near the city. It’s not for people who plan to drive to Hanoi on the back roads. 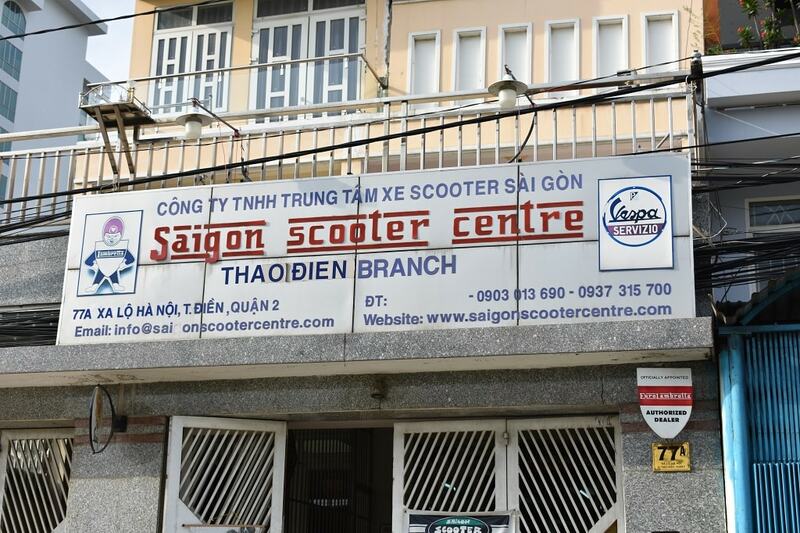 Saigon Scooter Centre boasts 20 years of experience. You can choose drop-offs throughout the country, making them a good option for those looking to cover some serious distances. They’ll also hook you up with a travel kit and other helpful things like VISA on arrival. They’re a bit of a drive out of the city center, but they provide free delivery so you can have a motorbike brought right to you. And once you finish your stay in Ho Chi Minh City, they’ll drop you off at the airport free of charge. They also have GPS units you can rent, which are very handy to have if you’re new to the city. From off-roading dirt bikes to classic Vespas, Saigon Scooter Rental has what you need.